Just regular folks. : Ruby - dearest one. Ruby passed away this evening peacefully and surrounded by people she loved. She ate heartily until the end - today she was eating eggs, cheese, treats, bits of ham, my mom's favorite meatballs and relishing every bite. Her breathing ability was rapidly declining even in the past 24 hours, so we reluctantly let her go. I found some particularly nice photos of young Ruby this afternoon going through the blog. 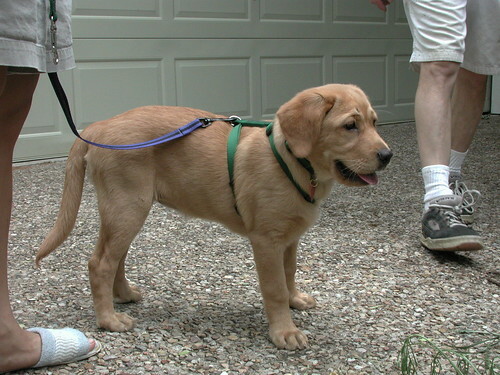 April 11, 2001 - the day Ruby came home to us in Austin, TX, she was 4 months old. The slippered foot is mine, the sneakered feet are Scott's. Sept 16, 2005: Singapore @ Chua Chu Kang. What's remarkable about this photo is that Edda can use her hands! 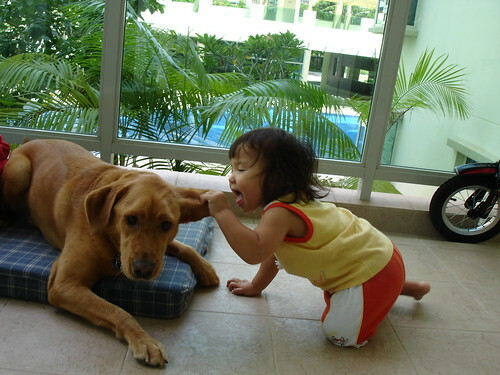 And that Ruby let Edda just bite her ear without flinching. 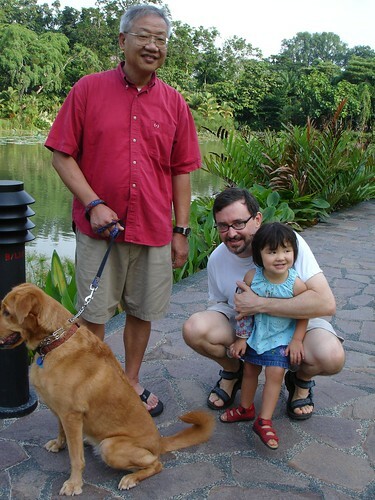 July 15, 2006, Singapore - Dad flew out to Singapore days after Edda's Rett diagnosis and we walked in the parks together. 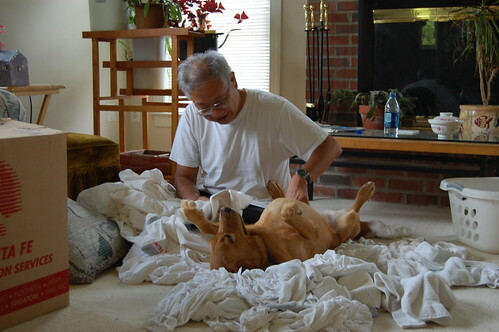 Sept 13, 2008 - Ruby and Gong Gong in Maryland trying to do laundry together. Feb 10, 2010. 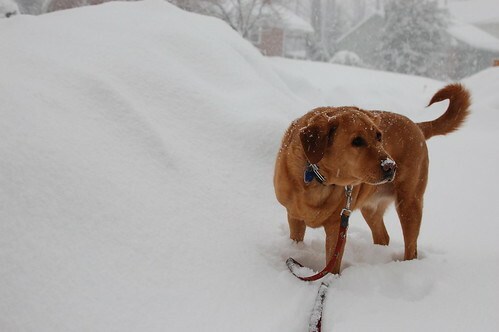 In Rockville during one of our huge snowstorms. Ruby! Sweetie, you'll be missed. Great a perfect end to a really crappy day. I cry as I type this but oh I just really loved Ruby. I wish'd I could have petted her a few more times. I liked how loose her skin was and how drooly her lips could be. 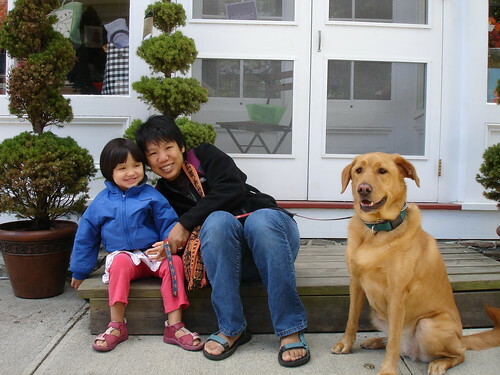 She was such a wonderful, sweet dog. She would let Vince and Edda climb all over her when they were little. She'd just look up at you. She had the most gentle disposition. It was a combination of you and Jeremy. I really do believe people and pets mirror each other. You gave her a great home. I feel lucky I knew her. 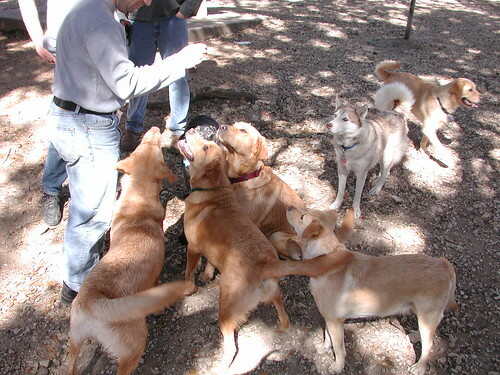 Hugs to all of you.